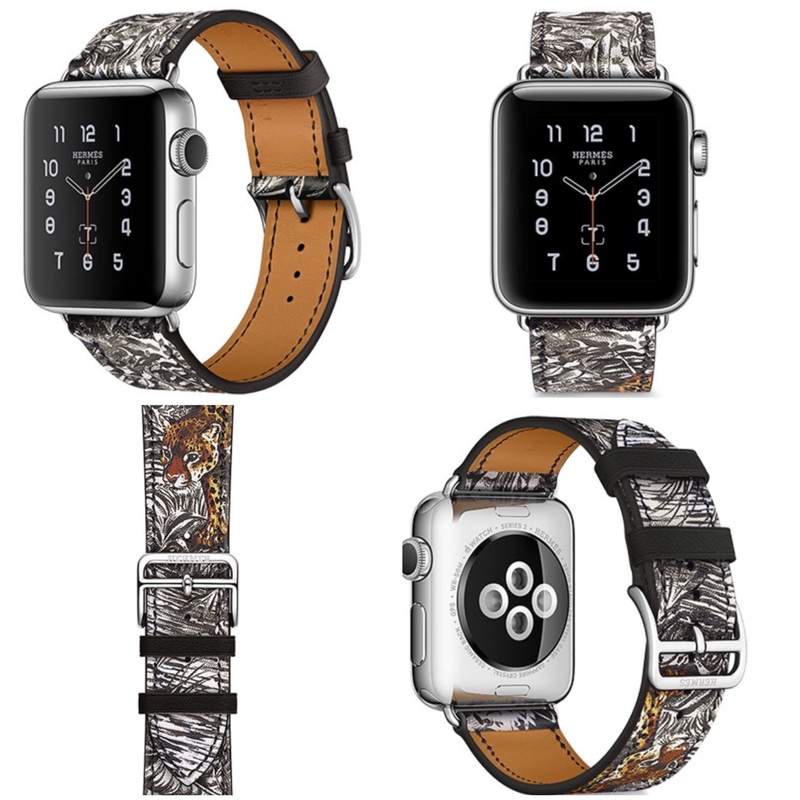 Do you like your Apple Watch band, but want to change up the look sometimes? 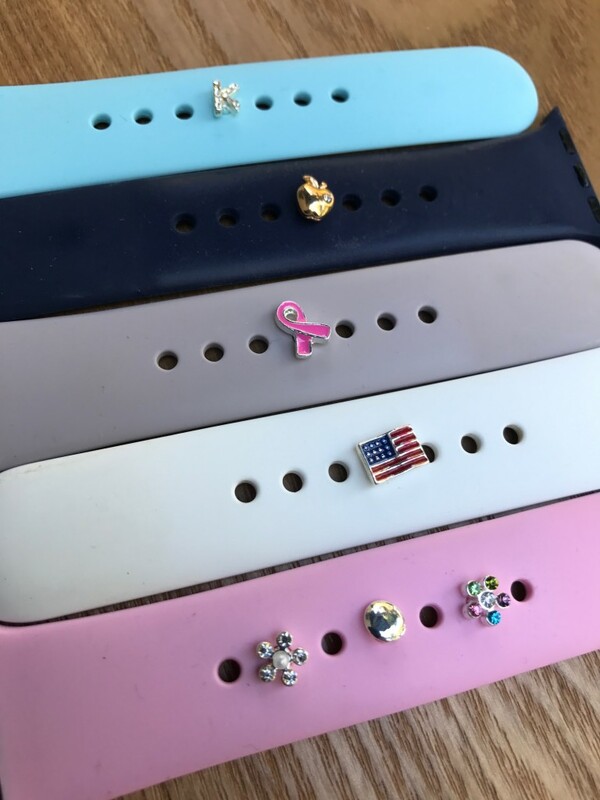 Check out iPops custom watch charms for your Apple Watch Sport Band or other wearable. Sold in packs of one, two, or three, iPops come in a variety of styles for just about anyone’s taste. 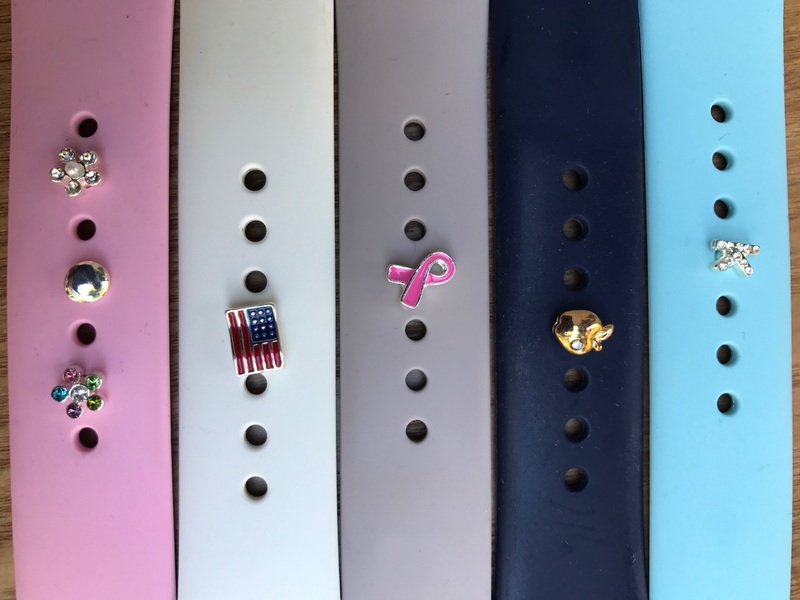 Sports, coffee, awareness ribbons, pets, kids, initials, careers, and travel are just some of the charm themes you’ll find on the iPops website. I received some iPops samples, the Crystal Alphabet (the letter K), Teacher’s Apple, Breast Cancer Awareness Ribbon, American Flag, and a three-pack: Spring Time Bliss iPop Pack. They all look great. The back of each charm is something like a nail head, which you insert into one of the holes on the Sport Band to attach the charm. You do have to press pretty hard, my thumb was sore after inserting a few of these. That’s not really a complaint – the fact that you can’t push them in easily means that they can’t fall out easily, either. You can add as many iPops as you want to your watch band, but you can only put them in certain holes. You can start right up next to the watch itself, but you can only go down as far as one hole away from the band’s pin. 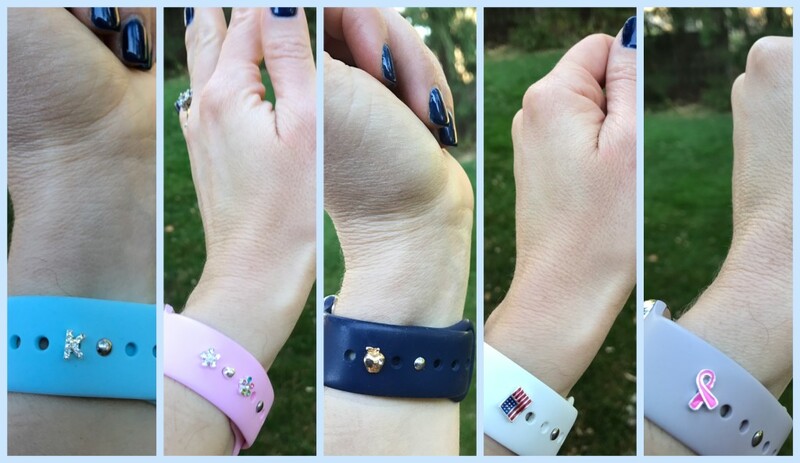 I wear my Sport Band on the fourth hole, so I can only wear the iPops in the first and second holes from the watch. If you wear your band any tighter than mine, you’re even more limited. The iPops don’t fit in closer to the band’s pin without interfering the the band’s closure. The iPops don’t fit in after the pin either. It’s not terrible, but it is something to keep in mind when choosing your charms. Of course, if you have one of the new Nike+ bands, you have a whole lot more holes to fill up with iPops. That could be a lot of fun. You can purchase iPops from their website, prices range from $6.99 for one charm up to $14.99 for a three-pack. You can pick up Apple Watch bands like the ones I’m wearing in these photos here.